Escape From The City will screen on on Thursday nights on ABC in 2019. 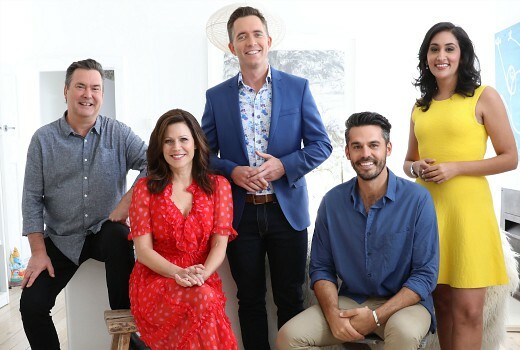 The lifestyle series, based on UK format Escape to the Country, features presenters Jane Hall, Simon Marnie, Bryce Holdaway, Del Irani and Dean Ipaviz. Originally due to screen in a “stripped” format in 2018, this one is likely to sit in the Thursday slot for a long time (presuming it rates). Following the premiere on Thursday 3rd January, 10 new episodes will be available on ABC iview . The series is a timely ‘how to’ guide, packed full of expert advice and industry insights for those seeking a different way of life. Each episode sees one of our five impressive hosts – Jane Hall, Simon Marnie, Bryce Holdaway, Del Irani and Dean Ipaviz – guiding a family, couple or individual through the trials and tribulations of their life-changing decision to escape the city and move to coastal, country or regional Australia. From beach-side shacks perched on coastal cliffs in Victoria, to terraced houses in need of renovation in quiet country towns and bushland retreats on the edges of the Northern Queensland rainforest, each episode sees one of our property mad hosts take a contributor on the house hunt of their dreams. Taking into account their needs, desires and budget, our hosts scour the country and present each with four homes, hopefully one becoming their dream home. Along the way the hosts and participants sample local delights and visit local attractions to get a feel for the area they are planning on moving to. January 3rd at 7.30pm on ABC. My home in Crafers West was filmed for this.Will is be shown and if so do you have a date? What does ‘stripped’ format mean David? I read this term occasionally on TVT but I’m not sure what it means? Was looking forward to this …until I just saw that the dreadful Bryce Holdaway is involved….I can only hope he doesn’t host too many episodes. Oh I love him, Bryce that is!!!!!!! I’ve been looking forward to this series.